Recent job loss events in Massachusetts, though unfortunate for the state and its workers, may prompt passage of strong economic development accountability and clawback legislation that would apply to all economic development subsidies statewide. 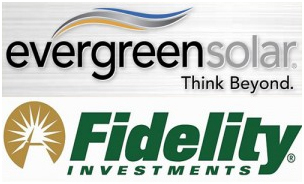 Announcements by Evergreen Solar and Fidelity Investments – both major recipients of economic development subsidies – that the companies would be moving large numbers of jobs out of state have frustrated development officials, lawmakers and residents alike. Evergreen Solar announced in January that it would shutter its Devens manufacturing facility and send over 800 jobs to China, despite the $58 million in job creation and development subsidies it received from the state. Fidelity’s March announcement that it would be relocating approximately 1,100 jobs to two neighboring states from its Marlborough facility also came as an insult to the state; in the 1990s – at Fidelity’s urging and great cost to the state – Massachusetts altered its state tax code to apply single sales factor (SSF) corporate income tax calculation to mutual fund firms. Weak accountability standards and a lack of safeguards in the state’s subsidy programs mean that Massachusetts will be able to recoup very little from Evergreen and nothing from Fidelity of the subsidies they received to create and maintain jobs in the state. Executives from both companies were questioned by lawmakers last week about their acceptance of job subsidies and subsequent decisions to move jobs out of Massachusetts. Evergreen Solar CEO, Michael El-Hillow, stated during the hearing that the company would not be repaying the $21 million it received as direct cash grants and tax credits from the state. Fidelity’s major economic development subsidy, provided in the form of reduced corporate income tax responsibility through the SSF calculation, is impossible to recapture. However, even some lawmakers who voted for the passage of SSF are now questioning its value to the state’s economic development efforts. During the hearing Senator Mark Montigny, chairman of the Senate Post Audit and Oversight Committee, stated that he expected SSF “not to continue in perpetuity with no oversight” or accountability. Prompted by these revelations, the Massachusetts State Auditor issued a preliminary review of business tax expenditures this week. She found that of 91 business tax expenditures, only 8 include a sunset clause, just 10 contain clawback provisions, and only 19 have public disclosure or accountability reporting requirements. (Program sunsets, clawback provisions, and public disclosure are among the most basic and most critical aspects of key subsidy reforms supported by Good Jobs First.) Massachusetts passed its first public disclosure law last year, which covers only the recipients of refundable or transferable tax credits. If enacted, the bill would protect Massachusetts’ future investments in economic development and ensure that companies can no longer take taxpayers’ money and run. This entry was posted on April 12, 2011 at 12:19 pm and is filed under Clawbacks, Disclosure, Job Piracy, Job Quality Standards, Jobs, Single Sales Factor, Subsidies. You can follow any responses to this entry through the RSS 2.0 feed. You can leave a response, or trackback from your own site.